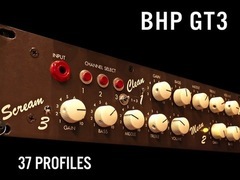 The BHP GT3 Profile Pack seeks to recreate the classic guitar tones from rigs and recordings that incorporated the Groove Tube Trio tube preamp. 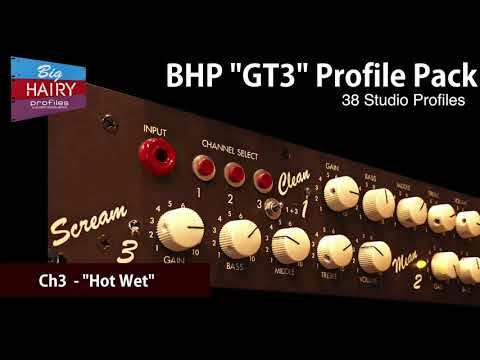 The Trio released in 1989 is claimed by GT as, "The worlds first 3 channel switching preamp: Clean; Mean; and Scream." Definitely not designed to be a scooped metal machine, but capable of refined clean and dirty tones, and vintage organic tones, as well as searing searing gain tones. 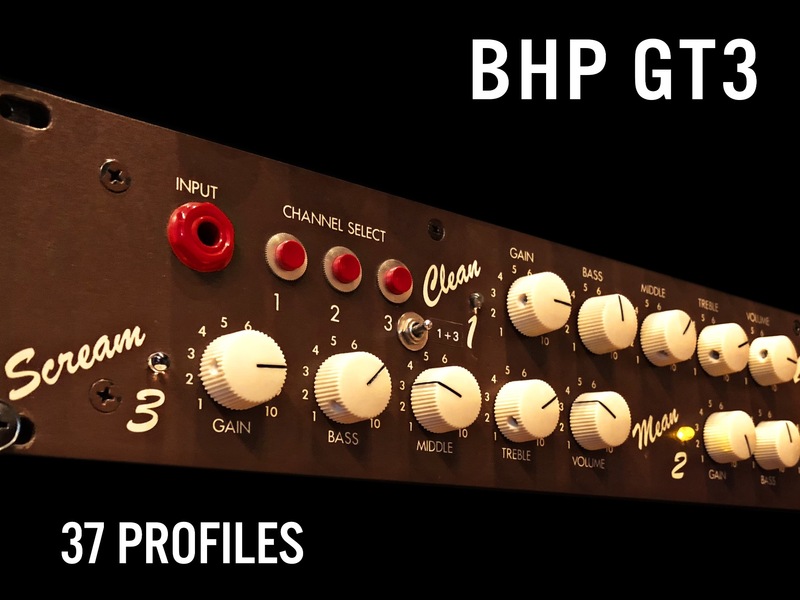 CLEAN was voiced like an early Blackface Fender preamp with tons of clean headroom. But if you drive it hard into the power amp, it breaks up into lovely vintage style dirt. MEAN is designed to produce round smooth distortion like old Tweed era amps cranked up! But this channel also gets into plexi territory, as well as modded plexi territory. SCREAM is about shredding overdrive tones, soft compression and forever sustain. This is modded amps to 11!